Balancing work and family life is a constant struggle, especially for women with children and ambitious career goals. It’s been the subject of countless books, articles, blog posts and tweets in the last few years, and passions run high in all directions. Now Laura Vanderkam, the acclaimed time management expert, comes at the “having it all” debate by asking a very practical question. Given that we all have the same 168 hours every week, how do people who do have it all—women with thriving careers and families—use those hours? When you study how such women fit together the pieces of their lives, like tiles in a mosaic, the results are surprising. If you work 40 hours and sleep 56 (i.e. 8 times 7) that leaves 72 hours for everything else. 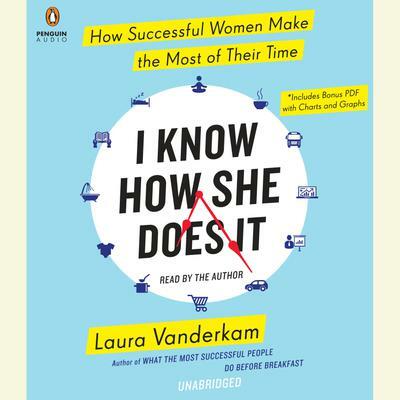 Vanderkam explains how her subjects use those “everything else” hours; why we work less and have more free time than we think; why it’s a myth that successful women get too little sleep; and how women can have demanding jobs, spouses, and kids, and still enjoy a healthy amount of downtime.